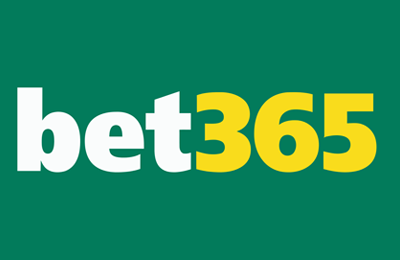 Without a doubt, bet365 belongs to the top bookmakers with millions of customers around the globe and it is available in about 18 languages according to the bet365 website. No matter what sports you prefer, you will most certainly find something that will please your gambling frenzy. One of our favourite sportsbooks, we find that it is a safe environment to place bets. Just by having a quick look at the bottom of their website, you can see that the bookmaker is licensed in the UK as well as by the Government of Gibraltar. Our bet365 review scrutinises many different aspects of the British bookmaker, such as the bet365 Welcome offer, the selection of sports, payment options and the reliability of withdrawals. Register at bet365 and start betting now! Place live bets on a variety of different sports at bet365! Download the iOS or Android app and start betting anytime form anywhere! At bet 365 you can live stream selected games! Register now! After roaming the bet365 sports website, our bet365 review has come to the conclusion that bet365 is definitely in a class of its own. There is an array of sports that can bet on, different types of bets and great odds. We found that the whole navigation is very straightforward. The selection of payment methods is excellent and even PayPal is among them. Customer service is only a few minutes away should you need their help. Overall, betting at bet365 is an enjoyable and safe experience. According to our bet365 review, there are many ways to make a deposit or withdrawal. Bet365 does not charge anything for this. Besides credit and debit cards, a number of e-wallets are available. Bank transfers and cheques are also accepted. Minimum deposit and withdrawal amounts, and limits, vary. Step 1 – Go to the banking section of your account: The bet365 banking section can be accessed by clicking on the “Services” options. A drop-down menu will appear and you click on “Banking”. Step 2 – Select the desired payment method: Once you have chosen your preferred option, fill in the payment details. Please note: Your billing address must match the address entered when you signed up. Step 3 – Transact: Now you can make a deposit and credit it to “Sports”. After making some winnings, you will probably want to withdraw some money. How to do so? After logging into your account, click on the “Services” option and then on “Withdrawal” in the drop-down menu. Simply enter the amount and the money will usually be transferred using the option chosen for depositing. Processing times differ depending on the selected method. With e-wallets, your money is usually transferred within hours, as was the case during our bet365 review. Please do not forget that your identity needs to be verified to ensure that bet365 does not give your money to anyone else. Our experience with the bet365 customer service was certainly positive. First of all, there is an extensive database of FAQs that is likely to be sufficient for general questions. In addition, there is an array of methods to get in touch with the bet365 support staff. The most convenient one is probably the 24/7 live chat. Operators are usually available right away, or else you might have to wait a few minutes, as we did during our bet365 review. Other methods are writing to bet365 by e-mail. As a rule, queries are replied to within a few hours. The telephone support is a third option. The customer support employees are quite competent and relatively quick to pick up the phone. It might be a good idea to have your account info on hand in case they need it. Keeping with the general public’s interest in social media, bet365 is also present on Twitter and Facebook. There you can find out more about sports news and events, and you can even obtain bet credits up to 50 GBP from time to time. At the time of our bet365 review, one of those offers consisted of tweeting our goals prediction for a particular match. Please do not forget that certain T&Cs apply and that you must be 18 to do so. What is the “Know your customer” (KYC) process? This is the expression used by bet365 to refer to the verification process. In order to comply with regulatory requirements, and make sure that accounts are safe, the identity of customers must be verified before they make their first withdrawal. Can I cash out part of my bet? Yes, you can. Simply use the Cash Out slider so that part of your bet can be cashed out. The remaining part of the bet continues to run. What is the “Quick Deposit” facility? The card details of the debit or credit card that you used for your deposit are stored. If you happen to be placing a bet and realise that you do not have sufficient funds, the system will ask you to enter your Card Security Number so that the funds can quickly be deposited into your account. Are there any maximum winnings limits at bet365? Yes, there are. For every 24-hour period, there are maximum winnings limits, but they vary depending on the sports or the events that you bet on. For more specific information, you should consult the T&Cs. Is there a promo code for the bet365 welcome offer? No, there isn’t. The welcome offer is available to every new customer who signs up and makes a minimum deposit of £5. Of course, T&Cs apply, you must be 18 years old and a resident of Great Britain or the Republic of Ireland.